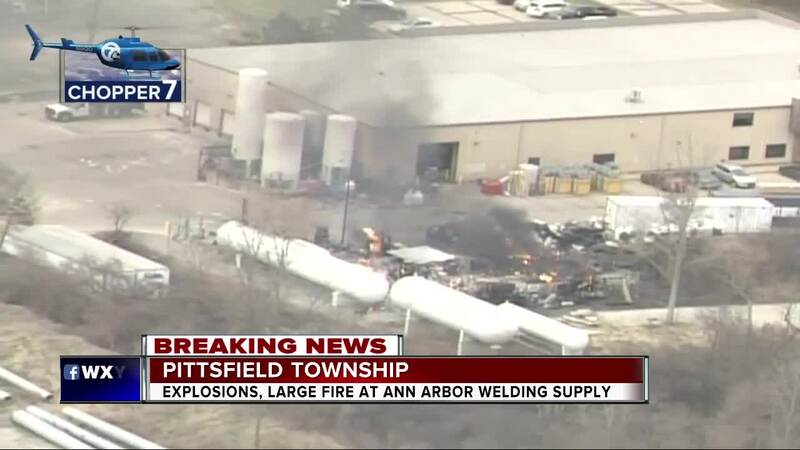 UPDATE, 5:33PM:Residents are allowed to return home, according to the Washtenaw County Sheriff's Office. However, they are advised to shelter in place. Carpenter will remain closed between Morgan and Ellsworth. UPDATE 9:04PM: Residents are no longer asked to shelter in place, according to the Washtenaw County Sheriff's Department. UPDATE 5:33PM:Residents are allowed to return home, according to the Washtenaw County Sheriff's Office. However, they are advised to shelter in place. Carpenter will remain closed between Morgan and Ellsworth. FOR RESIDENTS RETURNING HOME TO THE PREVIOUSLY EVACUATED AREA, PITTSFIELD FIRE DEPT IS REQUESTING RESIDENTS SHELTER IN PLACE. 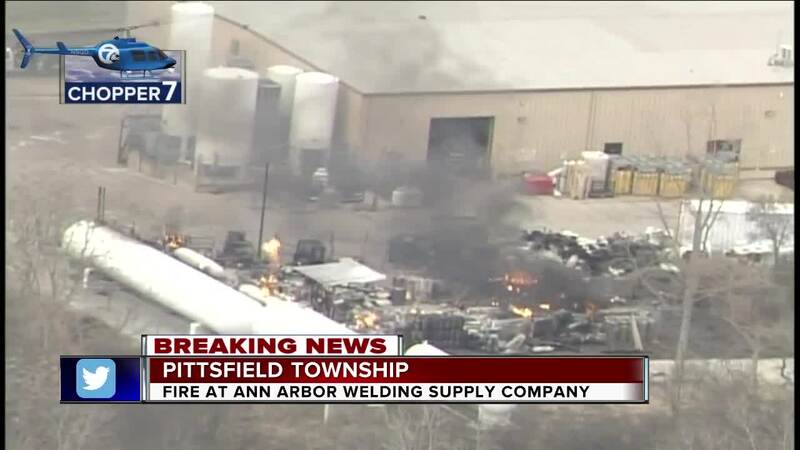 Police crews are reporting a large structure fire at the Ann Arbor Welding Supply in Pittsfield Township Thursday afternoon. Northbound and southbound US-23 between Michigan Avenue and I-94 temporarily closed down due to the structure fire but has since reopened. 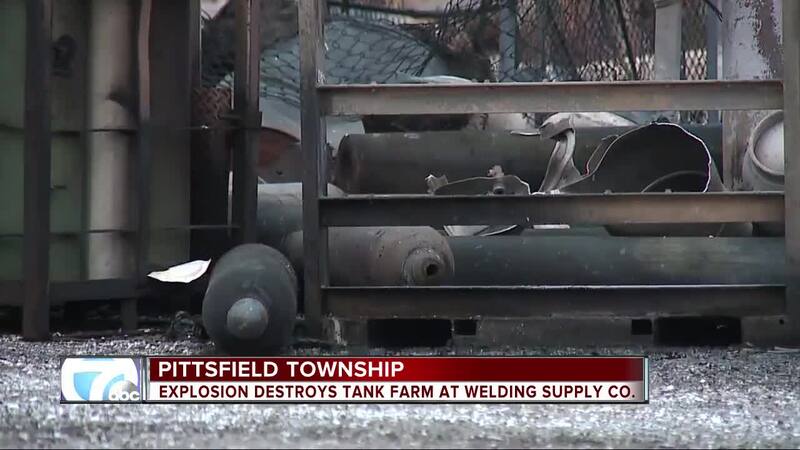 Police say there is currently a one-mile radius evacuation in the area of Carpenter Road and Morgan Road in Pittsfield Township. Carpenter Road is now closed. Multiple explosions caused the fire in one of the facility buildings. According to the company's website, the facility houses hazardous materials including: argon, carbon dioxide, nitrogen, butane and heptane. Drivers and residents are asked to avoid the area. 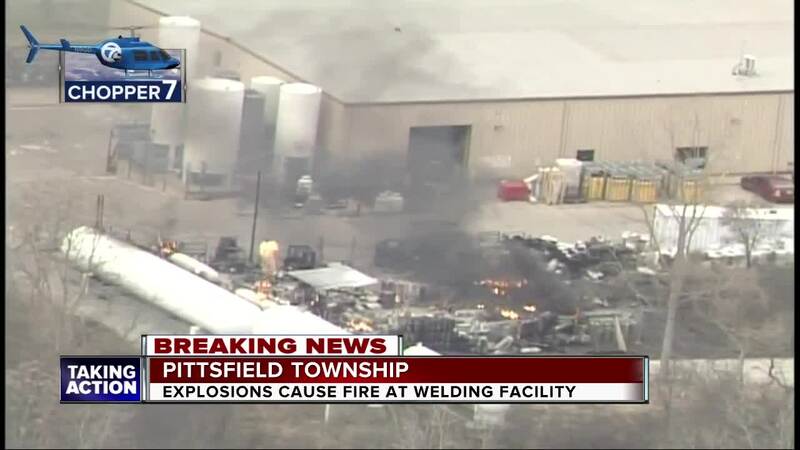 Surrounding businesses are being evacuated due to the multiple explosions. Ann Arbor Public Schools say kids that live in the evacuation area must be picked up by their parents. Buses are not driving into that area at this time. Kids that live in the evacuation area are not allowed to walk home either, so parents must pick up their children. Students who do not live in that evacuation area are free to use the bus or walk home, according to school officials.